Sponsored by Bloomfield, MONDO meds, Remedium CBD, and VYBES! We'll begin with an opening reception hosted by Cannabis industry reps available to share and explain all aspects of the plant. For those interested, there will be legal ways to consume cannabis during this time but there will also be non-psychoactive CBD drinks and products available! Brandon Anthony will then lead the group in an hour long "BodyRock" workout mixing strength building bodyweight exercises, HITT training, plyometrics, power yoga, and dance - all synced to an epic mix of music. The class is ALL LEVELS, so newbies to fitness and cannabis are welcome! All you'll need is a yoga mat and maybe a towel to wipe up all the sweat ;). First 10 people to reserve save $10! Standard Entry tickets are $25. Opening reception hosted by cannabis industry reps available to share and explain all aspects of the plant. For those interested, there will be legal ways to consume cannabis during this time. There will also be non-psychoactive CBD drinks, oils, and other products available. 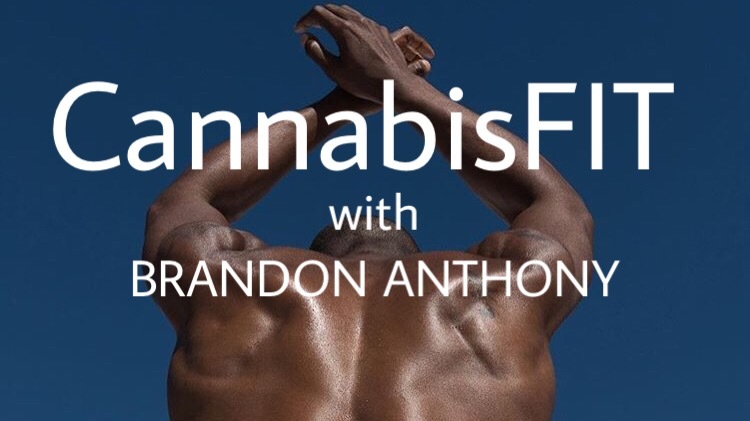 Brandon Anthony will lead the group in the CannabisDANCE+FITNESS signature BodyROCK class! Yes. All attendees must be 21+ and show valid ID at the door. Do I have to get high at CannabisDance+Fitness events? Definitely not :). MONDO meds will be there with their low dose THC edible powder, and VYBES will provide uber tasty non-psychoactive CBD drinks! You’ll be able to sample the health benefits of cannabis without the high. What are the benefits of combining cannabis and exercise? Increased focus, deeper connection to breath and movement, elevated metabolism, and decreased recovery time are a few of the big ones. It’s also really fun! I’m new to cannabis and curious. Will these events be a good experience for me? Yes! There will be reps available to guide you, answer any questions, and help folks figure out what works best for them. What kind of workout is Brandon’s BodyROCK? Brandon’s BodyROCK is a total body strength+cardio flow featuring bodyweight exercises, plyometrics, yoga, and dance - all synced to an epic and eclectic mix of music. Do I have to be in great shape for for Brandon’s BodyROCK? All fitness levels are welcome! Brandon teaches multiple versions of every exercise, and you work at the level that’s right for you :). Do I need to have dance experience to do Movement2Music? Not at all! Movement2Music classes are guided free flow musical journeys. Brandon will give you direction, but there’s choreography to learn. Everyone experiences the music in their own way. What should I wear and bring to these events? Wear something you can Move in, but feel free to bring a change of clothes for the opening/closing party! There are lockerrooms at the venue. Always make sure to bring a water bottle and small towel, and we recommend a yoga mat for Brandon’s BodyROCK. While BeatBox LA does not have a parking lot, there is ample street parking available in the neighborhood. Make sure to arrive early enough to find a spot and read all street signs. Full refunds available up to 7 days before any event.